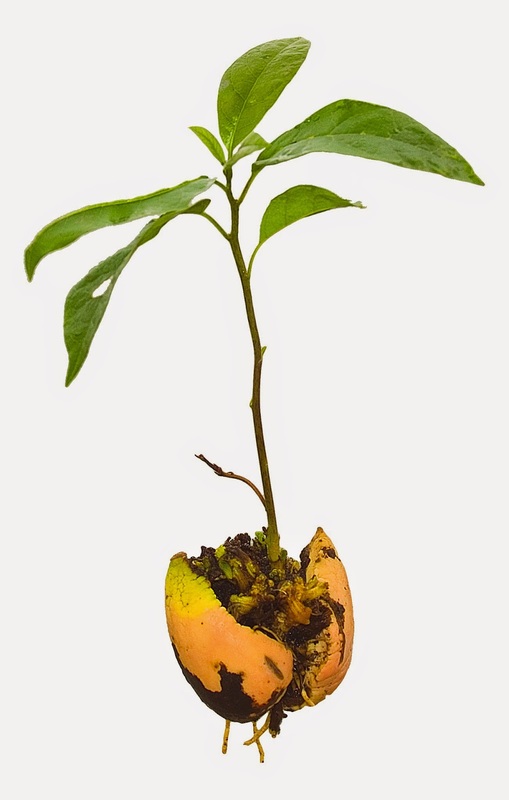 Also known as Striking or Cloning this is is where you take a stem or young shoot from the plant and place it into a soil medium and then under the right conditions this will cause it to produce roots. This method like grafting means that we know the taste of the fruit from this tree. Cuttings grown plants will all be uniform but they can tend to have a weaker root system than seedlings or grafted trees. Also called Air layering, Marcot, Marcottage and is like a cutting except instead of the roots being formed in a pot inside the soil. It is formed on the branch of the tree inside a plastic bag of soil. This is basically making microscopic cuttings. Plant hormones are used to make the cells first divide rapidly and then to differentiate the cells into stem, root and leaf cells. Initially the plant cells need to be grown in sterile conditions to avoid fungus infections, these are called flasks. Once the plantlets have formed roots and shoots they are deflasked into potting media and grown on. Tissue culture is possible because plant cells have the ability to differentiate into different cell types, so the initial cell can turn into leaves, roots and stems forming a whole plant. Tissue cultured plants are genetically true to type and identical to the parent plant and is another form of asexual propagation. It is an excellent method to eliminate viruses from the plants and for this reason it is used for banana propagation. Plants propagated by rhizomes and tubers are lifted and divided or dug up in the winter when the rhizomes are harvested and replanted. Examples of plants grown in this way are ginger, galangal, arrowroot and asparagus. Rhizomes are typically long term investments and will grow in size, and therefore productivity, with age. Asparagus is, indeed one of these long term investments. Tubers are neither roots nor rhizomes, but are often found in their company and are, in fact, a growth of reserve nutrients. They are rich in simple carbohydrates (starches) and sugars, which is what makes them so delicious. It is this stored energy that gives them the potential to grow a new plant at a moment’s notice or lay dormant until conditions improve. Sweet potato are an example of a tuber. A young piece of wood from a proven quality variety that is grafted onto a rootstock. To purchase this item you need to be competent in grafting. Scions sold on Daleys Fruit Tree Nursery are rated according to the 3 skill categories below. Most people should get success when grafting this scion variety. A practiced grafter should be getting close to 100% success rate. If you have never done a graft before it is best not to start with this variety. However a practiced grafter should be still getting quite good takes. Creating the graft with this variety is often a bit more difficult. You should not be expecting to get 100% takes but 80-95% success rate has been achieved by practiced grafters. Only an experienced grafter who has been successful grafting an intermediate scion in the past should attempt to do an advanced scion graft. Even when you are experienced you should be expecting to get 25-75% success rate.